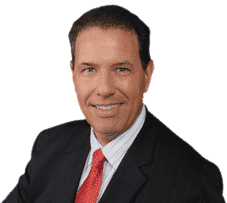 A Sunrise Injury Attorney, such as Robert E. Gluck, is the perfect example of an excellent injury attorney. It is very important you contact an injury attorney if you have been in an accident and sustained any injuries as a result. Robert E. Gluck became an attorney in 1989, and has since then provided clients with exceptional legal services they can always rely on. Before he can file a personal injury claim he has to prove negligence caused your injuries. Once he can prove it, he will be able to start a full investigation of your case. Your Sunrise Injury Attorney, Robert E. Gluck, will prove negligence and the guilty party will be held accountable for your medical bills. Negligence happens when a reasonable person fails to use a certain level of standards care and it results in an accident. Robert E. Gluck is an aggressive fighter, but he is also compassionate and has a genuine concern for his clients. He will see to it that your legal rights are fully protected and you are always treated with respect. Contact Robert E. Gluck and make an appointment for a free consultation. Your Sunrise Injury Attorney will help you increase your chances of winning your case. Studies indicate when an injured person has an attorney, there is a greater opportunity for winning a settlement. Robert E. Gluck realizes how difficult of a time this is for you, so he will provide you with all the legal guidance and emotional support you need to feel more confident. An injury can take place in any location and under many different circumstances. Your injury attorney, Robert E. Gluck will help you determine which category your injury falls under so you can pursue your case accordingly. Your Sunrise Injury Attorney has to locate witnesses and get their written statements. He must take pictures and secure video footage. He should also look for property damage. Robert E. Gluck will do all of these and more. With him at your side, you will be more confident. He has experience representing numerous injury cases and knows how to legally represent a client with full force.